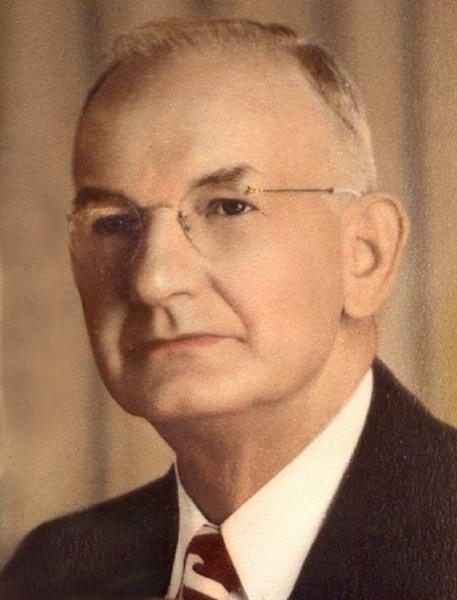 James Miller Bridges was born on 11 October 1887 in Lexington, Holmes County, Mississippi. He married Lillie Florence Perry circa 1909. James Miller Bridges and Lillie Florence Perry appeared in the US federal census of 15 April 1910 in Munday, Knox County, Texas. He was employed as a telephone manager, according to the 1910 census. James Miller Bridges registered for the draft on 5 June 1917 in Baylor County, Texas, while living with his wife and three children in Seymour, and employed there by Haskell Telephone Company as a telephone service wire chief. James Miller Bridges and Lillie Florence Perry appeared in the US federal census of 1 January 1920 in Wichita Falls, Wichita County, Texas, at 1511 Seventh Street. Other members of the household included Thelma Louise Bridges. Also in the household were son J. M. (age 5) and daughter Loudell (age 3), not yet recorded. He was employed by the telephone company as an operator, according to the 1930 census. James Miller Bridges and Lillie Florence Perry appeared in the US federal census of 1 April 1930 in Wichita Falls, Wichita County, Texas, at 2119 Alma Street. Other members of the household included Thelma Louise Bridges. Also in the household were sons James M. (age 16) and Roy L. (age 8) and daughter Loudell (age 12), not yet recorded. He was employed as a switchman by a telephone company, according to the 1930 census. A photographic portrait was made of James and Lillie Perry Bridges, about 1942. James Miller Bridges died on 13 February 1954 at age 66 in Wichita Falls, Texas, at 2119 Alma Street at his residence. . His death was officially witnessed by Lillie Florence Perry. Lillie Florence Perry became a widow at his death.